HP has unveiled new networking software to help with moving data in cloud environments. 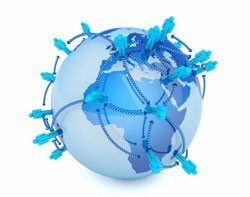 The Ethernet Virtual Interconnect [EVI] solution is designed to enable up to eight datacentres to have more reliable connections between one another so whole virtual machines – carrying data or applications – can be transferred between locations within minutes. The company claimed EVI will enable companies to offer stronger cloud solutions globally, with the transfer of data happening at a much faster pace and enabling both fixed and mobile users of the cloud to access their data quickly. EVI works over an IP connection and both virtualises and automates the layer two domain. By virtualising this particular layer, HP said the solution creates a single virtual network across multiple datacentres, rather than each location housing its own separate networks. This cuts the time it takes for each datacentre to communicate and transfer data, meaning faster reaction times to request, more options for data storage and a central location to focus network security. The bonus of the product being software, rather than hardware, is that deployment is much faster, and installed IP networking kit need not be changed to run the solution, according to HP. It also includes compatibility with VMware’s vMotion for the live migration of virtual machines. A management console has also been developed so administrators can keep an eye on both the physical and virtual infrastructures using EVI from one central location, with the aim of cutting complexity. “Clients are seeking a more flexible virtualised environment that enables mobility of virtual machines and data services across the enterprise,” said Bethany Mayer, senior vice-president and general manager of networking for HP. “HP’s unique virtualisation technologies meet that need, helping clients to significantly increase their agility and innovate at a pace their organisations demand,” she said. EVI will go on sale in the autumn as an upgrade to HP’s FlexFabric core switches.